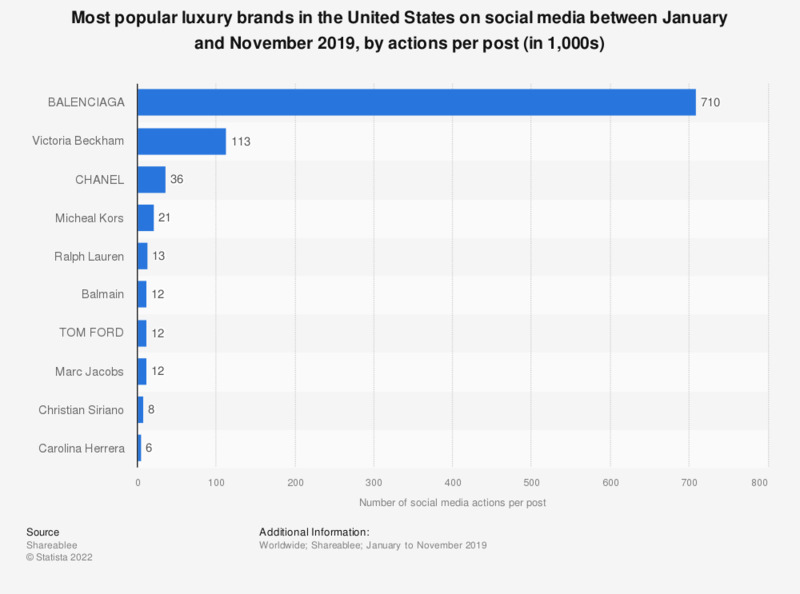 This statistic presents the number of social media actions generated per post by top luxury brands. During the first quarter of 2017, an average social media post by Chanel generated 107,953 social media actions. In constrast, top Chanel influencer Cara Delevigne generated an average user engagement of 662,894 interactions per post. Everything On "Prada" in One Document: Edited and Divided into Handy Chapters. Including Detailed References. What is most important to you when purchasing from a luxury brand? When buying in store, what is most important to you? Which of these has the greatest influence on your decision to buy luxury goods? Which platforms do you use to engage with luxury brands?